This morning the federal government released its long awaited bill on medically assisted dying. While the legislation permits assisted dying for adults suffering from physical illnesses, and does not include some of the worst ideas recommended by opponents of assisted dying like requiring prior judicial approval – it leaves out entire categories of suffering Canadians who should have a right to choose a safe and dignified assisted death. It is deeply disappointing that the federal government has decided to exclude people from this medical treatment in an arbitrary and discriminatory way, despite the recommendation of the all-party committee of MPs and Senators. The Prime Minister himself has said repeatedly that the Charter of Rights is central to their vision of governing of this country. In our opinion, by excluding people who are suffering intolerably who have a mental illness, by excluding mature minors, and by refusing to respect advance requests this legislation plainly violates the Charter rights of suffering Canadians. The result will be profound and unimaginable suffering for patients who are left out. On restricting assisted dying to those people for whom death is “reasonably foreseeable”: The Supreme Court did not require that a patient have a terminal illness. The requirement in the bill that “natural death” be reasonably foreseeable could mean that even some individuals whose situations were before the court in the Carter decision might be excluded from being able to have an assisted death. 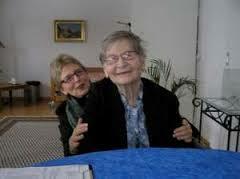 Kay Carter, who was central to our case, suffered from spinal stenosis and was not going to die from that illness. It was not clear that her “natural death” was “reasonably foreseeable” any more than every person who will eventually die. What was guaranteed was intolerable and perhaps indefinite suffering. This bill must not be interpreted and applied to prevent people like Kay Carter from accessing a medically assisted death. To do so would be an outrage that flies in the face of the Carter decision.The bill should be amended to remove this problematic language. On vulnerable patients: It was clear in court, and clear to the all-party committee, that doctors are capable of protecting vulnerable patients who are making life and death decisions. They do so every single day. It is not necessary to prohibit entire classes of patients from accessing this treatment in order to protect vulnerable people – assessments of vulnerability and competence are routinely made in individual cases. It discriminates against and devalues people to prohibit them from making their own medical choice just because of the kind of illness they are suffering. On prohibiting advance requests: The failure to allow advance requests for assisted dying will likely result in a violation of patients’ Charter rights. Physicians should be able to act on advance patient declarations requesting assistance in dying made by patients when they were capable. There is no reason why a person, who is competent, cannot make a decision now for themselves later, when they may no longer be competent or no longer able to communicate. To prohibit advance requests will have the inevitable result of trapping some individuals in intolerable suffering because they lose the ability to communicate before the moment arrives at which they would choose to access assisted dying. This will have the result of premature death by suicide as individuals, take their own lives while they are still capable of doing so, but before the point at which their suffering becomes intolerable. The existing prohibition was found to cut short lives in this same way, and was found to be an unjustified violation of the section 7 right to life as a result. On excluding the mentally ill: Forbidding medical assistance in dying to competent people who are suffering intolerably from grievous and incurable mental illnesses will violate those people’s Charter rights, plain and simple. That’s why the Parliamentary committee recommended that people with mental illnesses should not be barred from accessing this treatment. Mental illness does not automatically render a patient incapable of making free and informed decisions about their medical care. Excluding patients suffering from mental illnesses would have the perverse result of leaving such patients with no option but to either continue to suffer intolerably or to take their own lives prematurely – the Committee recognized that this result is exactly what the Supreme Court’s decision sought to avoid for the plaintiffs in our case. On excluding mature minors: Refusing access to mature minors who are suffering intolerably, who can be legally competent to make end-of-life decisions including refusing life-sustaining treatment, goes against existing law established by the Supreme Court of Canada. The Supreme Court has said that mature minors can’t be prohibited from making their own medical choices in a blanket exclusion – they must be assessed to determine whether or not they are competent to be treated as adults in making medical decisions. 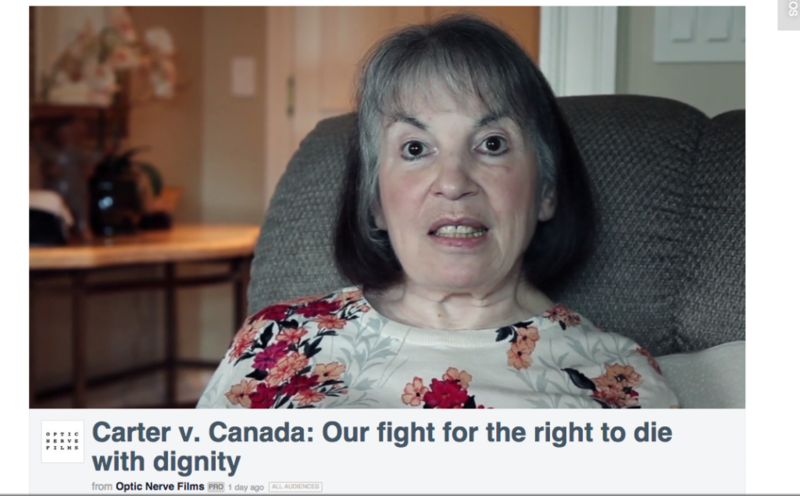 The Supreme Court has already ruled that a mature minor can’t be arbitrarily denied the right to choose to die by refusing life-saving measures – and the same reasoning applies to assisted dying. Whether it’s controversial or not is beside the point – the committee recognized that this is a simple matter of constitutional law. On studying these issues later: This proposal sets Canadians up for years of delay before people who are excluded might have a hope of accessing a peaceful and dignified assisted death. It means that people will continue to suffer unimaginably for several years on end. These aspects are difficult to consider, and they may be controversial to some Canadians, but Charter rights are not determined by opinion polls. Only an individual and their doctor can determine what is the right medical option for a person suffering intolerably against their will. This legislation will inevitably result in people being trapped in intolerable suffering, or left with no choice but to take their own lives prematurely in potentially dangerous situations. The existing prohibition was found to cut short lives in this same way, and was found to be an unjustified violation of the section 7 right to life as a result. In our opinion, this legislation plainly violates the Charter rights of suffering Canadians. We will continue to fight for amendments as the Bill moves through the Parliamentary process. The Supreme Court has already ruled on this right for Canadians, the federal government must amend this legislation to respect those rights.